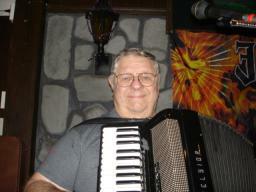 Up close with Fred and his Excelsior on February 2, 2008 at the Utica Maennerchor. 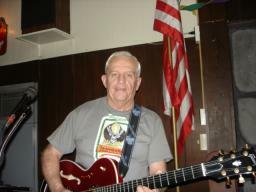 Tom and his Gibson during FPB's gig at the Utica Maennerchor on February 2, 2008. 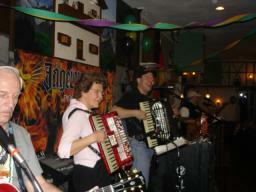 FPB Fan Club Member, Betty Miller jammed with FPB during FPB's second set on February 2, 2008. She's pictured here along with Tom, Fritz, and Gabe. 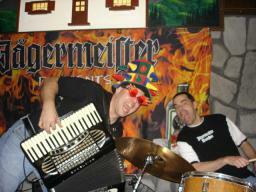 Fritz and Rick are "havin' fun" during FPB's gig in Marcy, NY at the Utica Maennerchor on February 2, 2008. 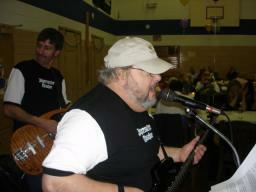 Gabe and Frank are shown here during FPB's second set on February 2nd in Marcy, NY. 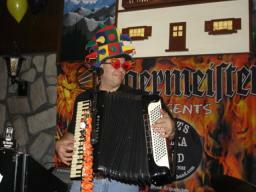 Fritz is decked out in his Mardi Gras costume as he rips through a tune at the "Fasching Night" bash at the Utica Maennerchor on February 2, 2008. 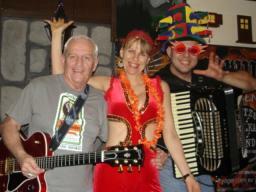 Tom and Fritz are being festive with FPB Fan Club Member, Jenny (who won the best costume award), during FPB's gig on February 2, 2008. 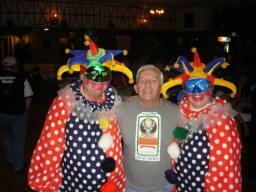 Tom finds some friends to "clown around" with during FPB's gig in Utica, NY on February 2, 2008. 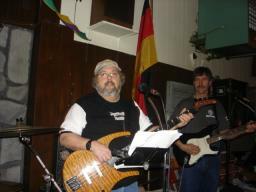 Gabe and Frank are shown here during FPB's gig on February 2, 2008 at the Utica Mannerchor. 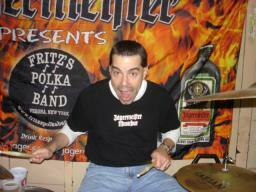 Rick does his best "marchin' drummer" imitation on February 2, 2008 during FPB's gig at the Utica Maennerchor in Marcy, NY. 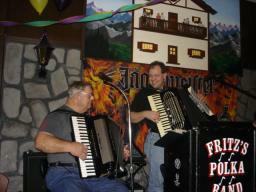 Fred and Fritz are pictured here during FPB's gig at the Utica Maennerchor on February 2, 2008. 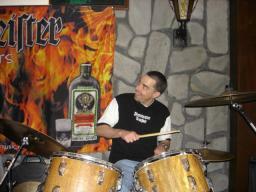 As the FPB/Jager banner's flames seem to burn Rick's back, he drums along at the St. Mary's Fundraiser in Waterloo, NY on January 19, 2008. 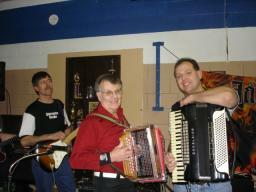 Frank and Fritz are pictured here with FPB Fan Club Member, Lou Fell, as Lou jammed with FPB during FPB's second set in Waterloo, NY on January 19, 2008. 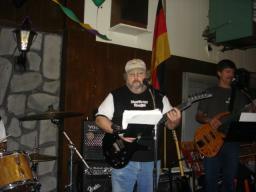 Frank and Gabe are shown here during FPB's second set on January 19th in Waterloo, NY. 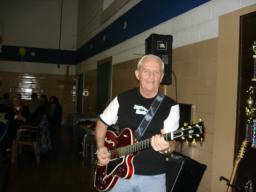 Tom is shown here with his Gibson during FPB's gig on January 19, 2008.